Elizabeth City State University’s own Miss ECSU wants to be the next Miss CIAA, and in her fate is in your hands. Beginning Monday, Feb. 4, online voting for Mattelyn Bond’s bid to be Miss CIAA began at noon. 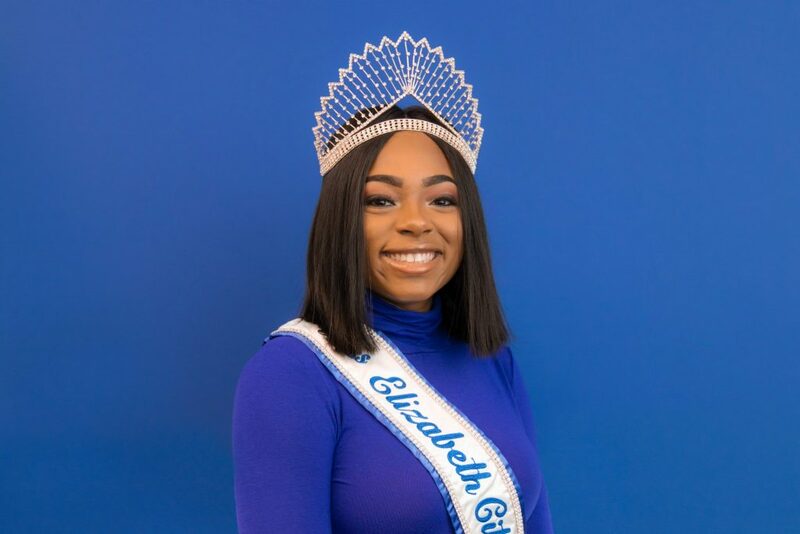 Voting is unlimited and the queen with the most online votes will not only receive a $2,500 scholarship awarded by Food Lion, but will also be presenting a check to a local food pantry – for ECSU, that would be the Vikings Care Food Pantry on campus. To vote, you can go to https://www.foodlion.com/promotions/miss-ciaa-voting/ and click on Mattelyn Bond’s photo. Bond is a communications major from Bertie County. When she’s not at the WVRS campus radio station – her favorite place on campus – you might find her riding a bike, playing video games, or shopping – that is when she’s not representing her university as Miss ECSU. ECSU Newsroom: Tell us about some of your favorite campus activities. Miss ECSU: Any type of game night because, even though I’m 21-years old, I love games and participating in friendly competition. Each year I go to the fashion shows on campus, I love watching the troops battle each other and each year they get better and better! ECSU Newsroom: Tell us about professors who have influenced you, and why. Miss ECSU: Dr. Iritate and Professor Rook, Dr. Strother Jordan, Dr. Jones and Dr. Shannon; all of them have pushed me and saw potential in me even when I didn’t see it in myself! ECSU Newsroom: Talk about how you view your experience as Ms. ECSU. What are some of your goals? What role do you see yourself playing over the course of the school year? Miss ECSU: So far, being able to balance everything has been hard, but each day I get better and better at managing. When running for Ms. ECSU, I knew that one of my top goals was to promote to students that a queen is a woman that has great character, leadership, and exemplifies self, not just a “pretty” individual. I wanted to change the perception that people had when they thought of a queen; I wanted students to see that I am nothing but a student just like them, but the only difference is that they entrusted me with representing this great university. ECSU Newsroom: What has your experience been like at ECSU? Miss ECSU: So far, the experience has been amazing! I really enjoy how small it is, and close everybody is here. ECSU hosts a lot of events, and not just party events, but events that cater to all types of people. ECSU Newsroom: Talk about some of your highlights at ECSU. 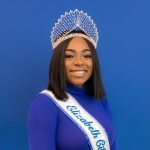 Miss ECSU: Some highlights of my time here at ECSU have been becoming Sophomore Class President, joining the ECSU Volleyball Team, being part of the Radio Station (WRVS 89.9), and now, becoming the 84th Miss Elizabeth City State University. ECSU Newsroom: What would you recommend that underclassmen pursue to better enhance their experience as students? Miss ECSU: Start networking, and making connections with professors and other individuals on campus. Along with that, I would say that they should find jobs or shadow somebody in their field so when they do graduate and get into the real work at least they can say they have experience in their area of study. ECSU Newsroom: Tell us your words to live by. Miss ECSU: YOLO. You Only Live Once.